The All Progressives Congress has expelled the embattled and suspended member of the House of Representatives, Abdulmumin Jibrin from the party. 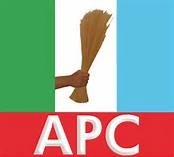 The All Progressives Congress (APC) has expelled the embattled and suspended member of the House of Representatives, Abdulmumin Jibrin from the party. Jubrin was expelled on Thursday by the chapter of the party in Bebeji Local Government Area of Kano. Jubrin represents the Kiru/Bebeji constituency in House. Jibrin was expelled for several offenses, including allegations that he was trying to divide the party and sabotage the administration of Kano State Governor Abdullahi Umar Ganduje. Reading the resolution expelling Jibrin, the party chairman in the local government, Sani Ranka, said the party had taken all constitutional steps to make Jibrin step back from “anti-party activities”, to no avail. According to Ranka, other alleged offenses include Jibrin’s role in bringing forth a parallel party leadership in all 14 wards at the Bebeji local government level. He also alleged that the embattled representative committed “misconduct” at the party’s national level, adding that he had called for the resignation of President Muhammadu Buhari.